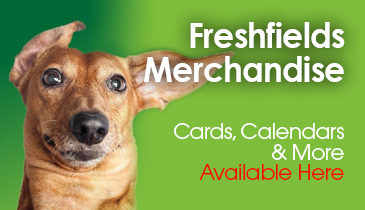 At Freshfields Animal Rescue Fox Unit our mission is clear. We aim to protect, nurture and sustain the lives of our native red foxes. Our objectives are to preserve their health and conserve their habitats, as a treasured species of the wildlife of our country. Our Fox Unit came fully into operation in 2013, and our work has grown and developed in scope and capacity over the last few years. The Unit is managed by Paul McDonald (The ‘Fox Man’) with support from his colleagues Darrin Stiles & Graham Taylor. We also give advice and guidance to the public regarding all aspects of fox ecology and welfare. There are 4 strands to the work of the Unit, forming a coherent strategy of Deterrence, Rescue, Rehabilitation and Release. We will explore this process in more detail in the ‘What We Do’ section. We work together with the public to raise awareness and understanding of the fox’s needs and how to meet them. 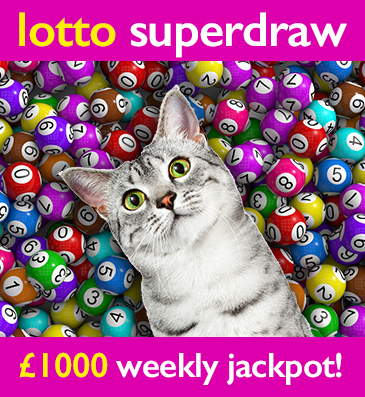 We look at this in more details in our ‘How You Can Help’ section. Thank you for your interest in the work of our Fox Unit. We hope you enjoy finding out more about the world of this engaging, beautiful and fascinating creature. Our unswerving commitment to foxes means that we will only attempt to move them to alleviate their suffering. We believe that foxes have as much right to exist in their natural habitat as humans do. We will never trap and remove a fox simply for the convenience of the humans who ask us to. The debate around urban foxes often has conflicting perspectives. There is a range of beliefs and attitudes held about the presence of foxes in urban areas. 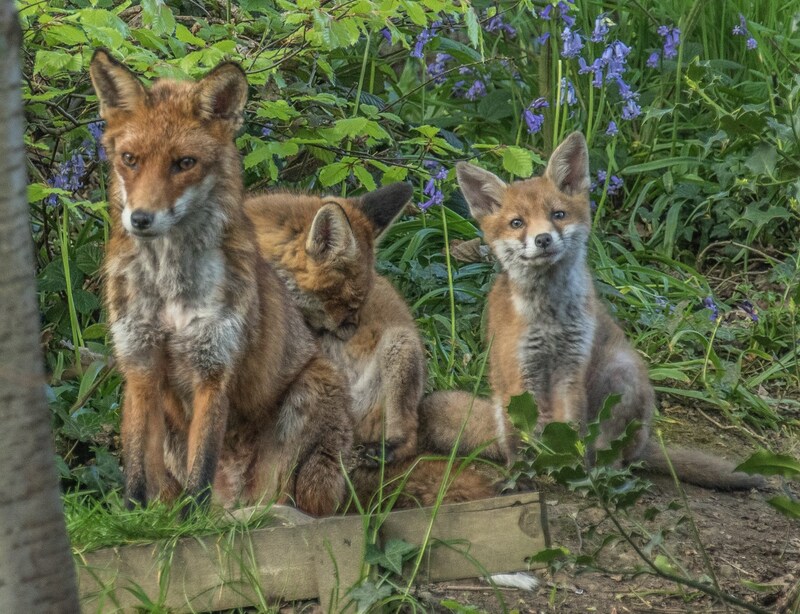 Given the fox’s ingenuity and adaptability, it is no surprise that the plentiful supply of food in urban areas has caused the urban fox population to develop and thrive there. Some people welcome their presence, and create a nurturing environment, leaving food for them every night. Their neighbours may complain about the noise, particularly the loud screams and other calls made by the foxes. Others may object to the fox’s flattening of their garden or raids on their vegetable allotments. People often complain about food debris, little acknowledging that it is human activities that have led to the situation in the first place – foxes are not known for tidily disposing of a Kentucky Fried Chicken box after they’ve finished with it! 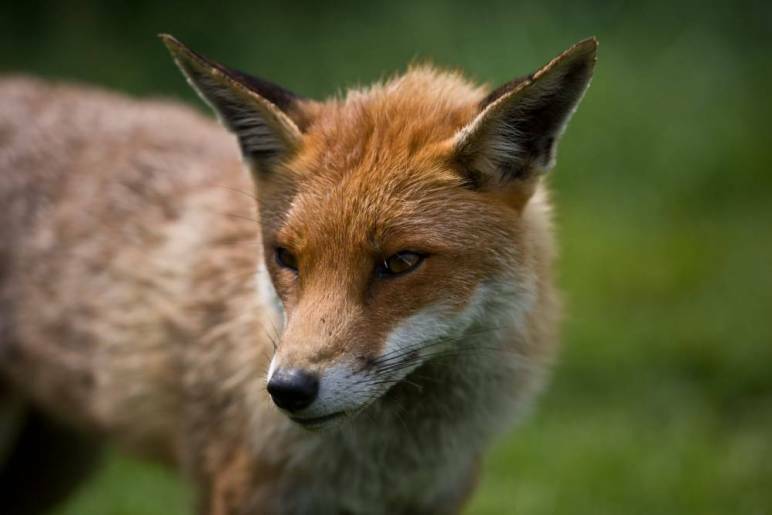 At Freshfields we offer Fox Deterrence advice with the aim of preventing the involvement of Pest Control services in removing a fox. These services are usually called on to dispatch a fox in ways that are cruel and are a waste of time and money. The dead animal will simply be replaced by another coming in to take over the territory. Foxes have an average life expectancy of 2 years. There are stages involved in dealing with queries about foxes. 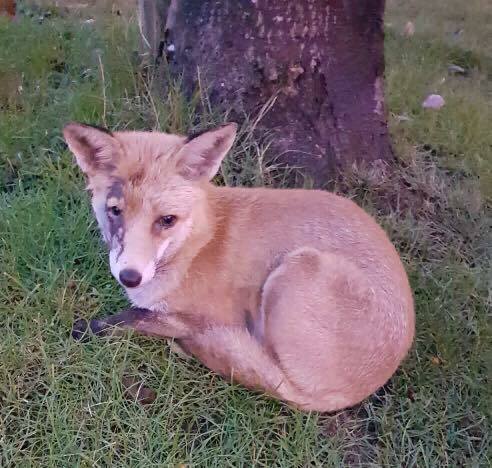 Assessment regarding whether the issue can be dealt with over the phone: when we receive a complaint about a ‘fox problem’, our first priority will be to persuade the person calling to leave the fox undisturbed. We advise that the foxes are not by nature a danger and that the cubs will generally move off in August/September as part of normal dispersal procedures (see below). Is the fox living in the garden or is it just passing through? If passing through, it’s a simple case of using a deterrent spray which makes the fox think that another, larger fox has taken over its territory. We can also advise the installation of a motion-activated water sprinkler called a ‘Scarecrow’ which will scare off a passing fox. These are more effective in smaller gardens. When such jobs may be necessary we will also advise a full survey of the garden to determine if there are weak perimeter points where the fox is getting in. Obviously, if the garden is lined with hedges a fox can get underneath and there is not a lot that can be done. If it is fenced in or has walls, it may be possible to ‘fox-proof’ the area using ‘pric a strip’ on fence lines to stop the fox jumping over, and blocking the bottom of fences to prevent digging under. It’s a bit more complicated if a fox is living in a garden, most commonly under a shed or decking. In this case, a ‘fox eviction’ would be carried out. Foxes have several dens prepared in case one is compromised. Essentially the fox would be chased from one den into another ensuring they cannot get back into the den about which someone has contacted us. For sheds/decking a trench would need digging, 6 inches deep around the perimeter with some fox proof mesh attached in an L shape so the fox cannot dig under and get back in. First, there must be a check to make sure the fox is out, which can be done by a visual examination if it’s possible to see all the way underneath a small shed or decking. If the underside is not visible, a section can be left exposed with a trail camera up to see if the fox has left the den. A one-way door may also be installed; a cat-flap like device from which a fox can get out but not back in. If a fox is living underground the earth would be dug out as far back as it goes, and once it has been established there are no foxes underground, it would be filled back in with some rolls of mesh to ensure it can’t be used again. If someone is worried about pets being at risk, we offer advice on how to properly secure their pens so that a fox cannot reach them. This involves ensuring the right grade of mesh and making sure a fox cannot just dig under a pen and into it. For free-range birds like chickens, our advice is to always invest in some electric netting to stop a fox from getting to them. Our view is that this is a responsibility that humans need to take on – if people wish to keep chickens, then it is only fair that time and money must be put into protecting them when they know there is a fox about. Portacabins used as classrooms are the most common location for foxes to take residence under. The principle with these is the same as with sheds and decking only on a larger scale. Dig around the perimeter and mesh safely, so that the fox cannot get underneath. Sometimes a fox passes through schools and fouls, which is obviously an issue if there are children around who can pick it up. In such cases, we focus deterrent sprays on the areas where the fox is causing most problems, i.e. the playground area. Sprays are less effective over larger areas so we focus them on where there are most problems. 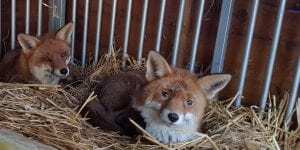 When the situation requires it, we will capture the fox in a humane, professional manner, using techniques and timescales honed over many years and used successfully to rescue and treat injured foxes. In the vast majority of cases the Fox Man will typically put out a trap to catch the foxes, which he normally does along with a camera that sends SMS alerts to his phone when there is movement. This means that he will know if a fox goes in the trap and he can pick it up immediately to reduce the stress caused. This is a service we offer 24 hours, 7 days a week, across the North West of England. Trapping is always a last resort as trapping and keeping the foxes in the unit is obviously a stressful experience for them. 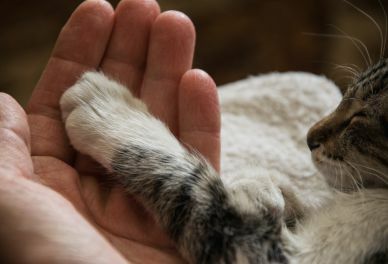 We do try to get them back out as soon as possible and reduce the human contact we have with them. If a fox is getting too stressed out in the cages and we have space, or the fox is at least a week into mange treatment, we will put them into the outdoor pen we have. We aim to make the fox’s stay with us as short as possible. This is not just because of the stress it causes, but as foxes are territorial, keeping them in too long can compromise their territory if they are removed from it for too long. Mange causes the fox to become incredibly itchy, lose fur, and become dehydrated. By the end of 4 months, the fox will have lost up to a third of body weight and most of its fur. The skin gets covered in a thick crust of dried body fluids which have oozed through damaged skin and are full of mites. These scabs can easily fall off as the fox moves under fences or other structures, so it’s easy for others to become infected through contact. We treat it with at least 2 injections of Ivermectin which kills the mites – the first injection kills adults, the second kills recently hatched mites and the third is a precaution. The mites can inhabit a human body, although the disease is then known as scabies. Unless there is an obvious sign that the leg is broken, such as it being bent at an odd angle or showing signs of a wound, we send out some homeopathic painkiller and wait 2 weeks before putting a trap out to allow time for further assessment. If the fox is limping for more than 2 weeks then we will get a trap out for the fox and immediately take it to a vet for an assessment. They may at that point X-ray the fox to determine if there is a fracture. 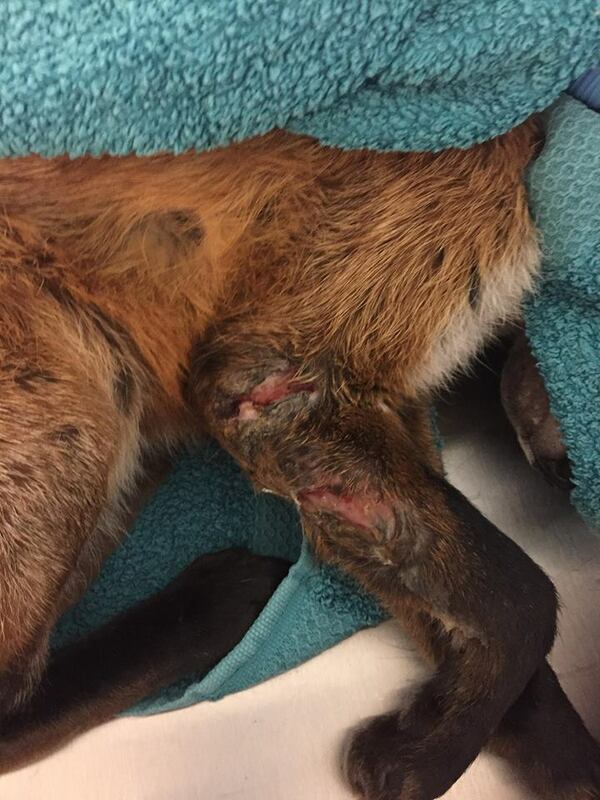 If it’s a clean break it can be operated on, but if it’s not a clean break or is on a joint and cannot be operated on, we will make a decision to amputate, put the fox to sleep humanely, or leave the leg to heal on its own. 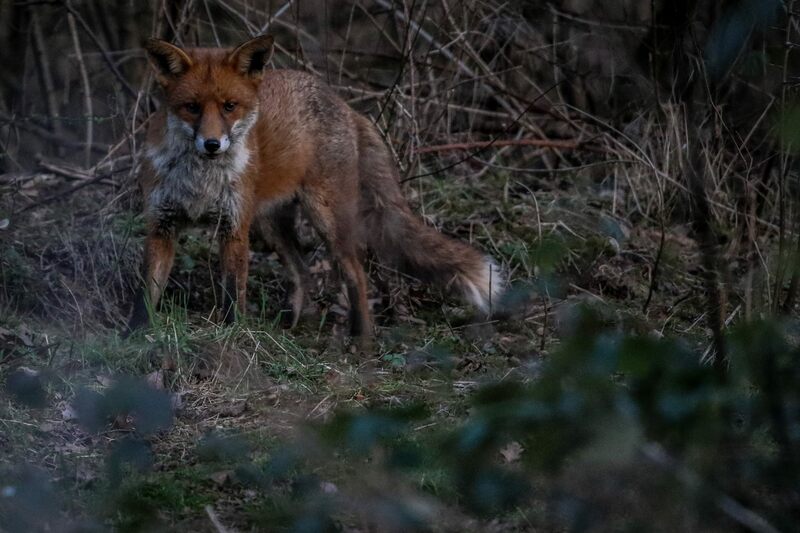 In making this decision we follow advice from the experts at the Fox Project in Kent, who act as a resource for consultancy and advice on many issues. Their guidance is that a fox can survive on 3 legs as long as the front 2 are intact (which they need for digging). If a back leg is broken beyond repair and is causing pain for the fox, we will opt for amputation and release the fox with 3 legs. Snares are deadly metal nooses designed to trap animals and are commonly used by farmers and gamekeepers. We give more advice about reporting illegal snares in our ‘How You Can Help’ section. Snares can kill foxes through strangulation or neck dislocation. Some animals also get legs caught in snares which can cut down to the bone, and these animals can sometimes gnaw off their own limbs trying to escape. Foxes have been discovered with a snare around their entire body and have almost been cut in half by them. We have had animals in the Unit suffering from snare wounds who have thankfully survived their injuries with appropriate interventions and treatment. This would not be possible without the understanding and co-operation of our designated local vets, who are willing to work with and save local wildlife. This practice is not universal, and our close working relationship with them is vital in saving the lives of foxes across the North West. You can learn more at the National Anti Snaring Campaign website. Pale or yellow gums are a tell tell-sign of poisoning indicating liver/kidney damage. This situation usually does not have a positive outcome – unless we know which poison it has ingested, there is no way we can successfully treat it. The usual result of poisoning is that the fox is put to sleep to alleviate its pain and suffering. The main lesson here is: Don’t use pesticides like slug killers. If it’s harmful to insects – it will be harmful to the animals that eat them. Adult rescues are released back to the area they have come from and as soon as possible after capture. Leaving the territory 'vacant' for too long means another fox will inevitably move in effectively evicting our rescued fox. Preferred sites for cubs are usually in rural areas, ideally in farm houses with no neighbours. We will not release in an area where there are hunts or shoots nearby or busy roads. There is no such thing as a perfect release site; however, foxes in rural areas on average live a year longer than urban foxes. We bear this in mind when choosing a release site. The cubs are put into a release pen on one of these sites around August/September – about 5 per pen. They are kept in the pens for 3 weeks to acclimatise themselves to the sounds and smells of the area before the door to the pen is opened and they can come and go as they please. Food will still be provided until they are confident enough to go off on their own and find their own food. Some will disperse and find their own territory, and some may stay in the area. Males are called dog foxes and females are called vixens, with young being called cubs. The average life-expectancy of a fox is 2 years. A fox’s home above ground is called a den, and a settlement below ground is called an earth. 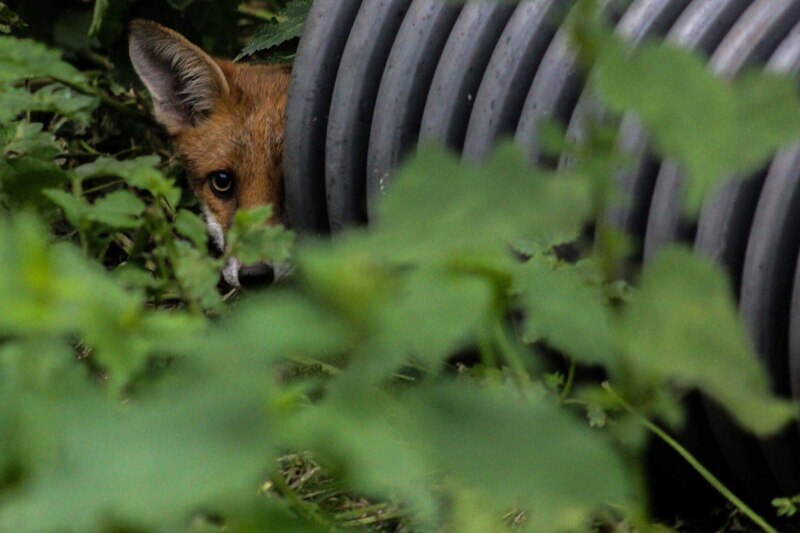 In this section, we offer some practical advice and address some Frequently Asked Questions about the things you can do to help us to protect foxes and help them to survive. 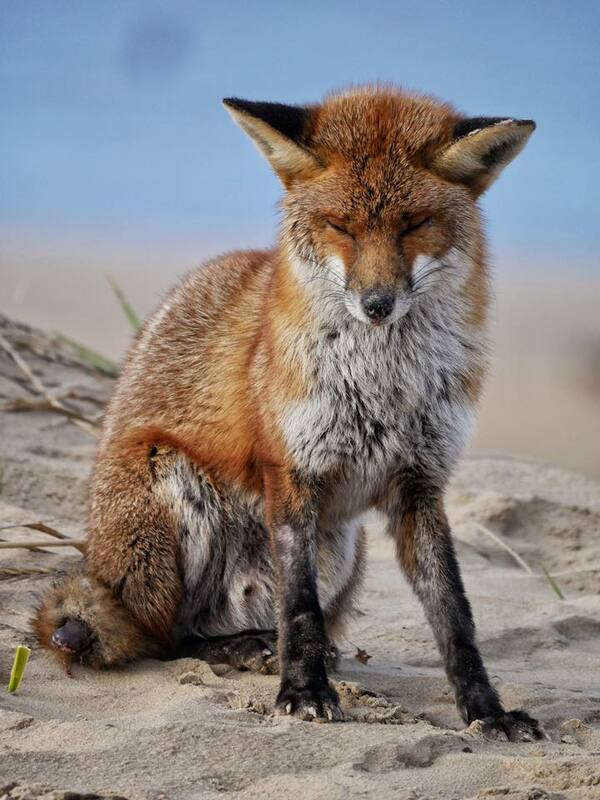 Injured Foxes – What should you do? For many people it’s natural to want to help when you see an injured fox. However, the situation needs thought and consideration before an intervention is made. With the best of intentions, an ill-judged ‘rescue’ can result in a fox becoming homeless and can in fact threaten its long-term survival. Once removed from its territory, the fox will no longer have a home. Another fox or fox family can move in, within a matter of days. If the fox is released back to its old territory, it will be driven off by the new inhabitants. So it’s important to remove a fox from its hard-won territory only to alleviate suffering. Foxes are sometimes sturdier than we might think. Urban foxes can survive being run over, and broken legs can heal. That being said, if you are concerned, there are things you can do to help. If possible, put out some food and monitor the situation carefully for a couple of days. Foxes have been known to respond and their condition improves dramatically after some rehydration and refueling. Canned dog food, boiled potatoes, unsalted nuts, and raisins can all be appetising to an injured fox. If you are still concerned, contact our Fox Man on 07572 270432 or contact another Fox Rescue Project. These animals require experienced, expert handling and trapping; you could be injured when attempting to capture one. If you can safely isolate a fox, a garage or shed is ideal, while waiting for professional help. Abandoned Fox Cubs – What should you do? Much of the advice above related to the matter of foxes which appear to be abandoned. 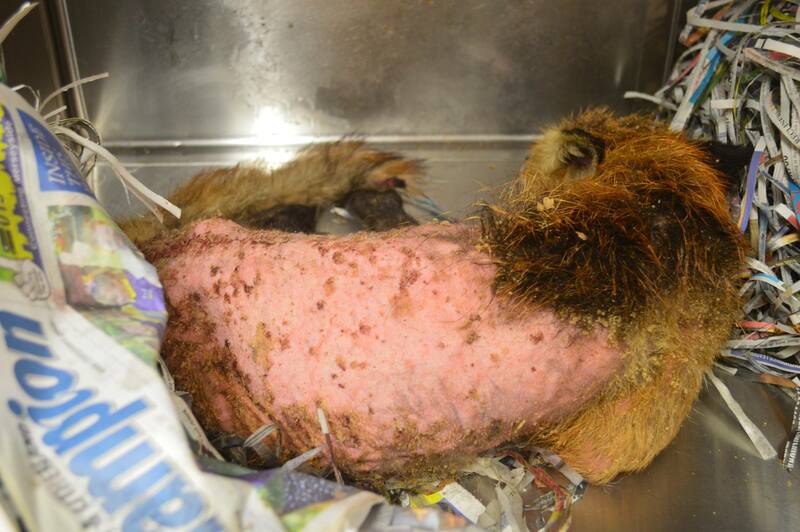 We need to think carefully before removing apparently abandoned cub/cubs from the wild. Vixens do leave their cubs for extended periods of time, and often move them if they sense danger. You may come across a cub who looks vulnerable and lost. 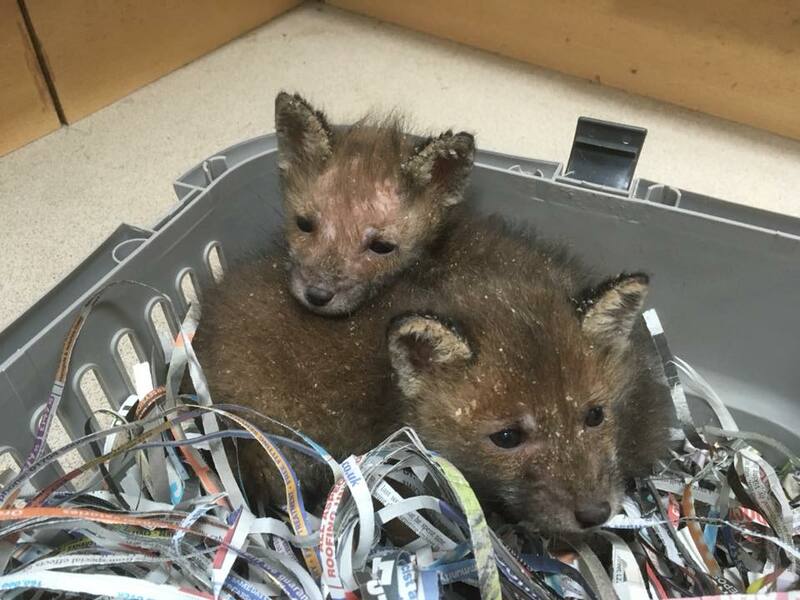 This ‘abandoned’ fox may be in the process of being transferred with its siblings to their new den, and you may inadvertently be removing them mid-journey. If you are concerned that a cub has been abandoned/orphaned, consult the Fox Man or another Fox Rescue for advice and guidance. They will decide with you whether or not an intervention is appropriate and take the steps required as outlined in our ‘What We Do’ section. Feeding Foxes – What should you do? Many people assume that urban foxes do not know how to hunt, but actually, they are deemed to be just as competent at catching small animals, birds, and rabbits as country foxes. However, scavenging often brings tasty rewards, so both urban and rural foxes appreciate the relatively easy rewards of scavenging. With regard to feeding foxes in the wild, it is of paramount importance that all dealings with them are maintained from a distance. Tame foxes are unlikely to survive. Foxes are wild animals, and should always be treated and respected as such. Remember, when feeding foxes, that not all people like these creatures and those who are anti-fox may employ a pest controller. Foxes are not dependant on man to survive. 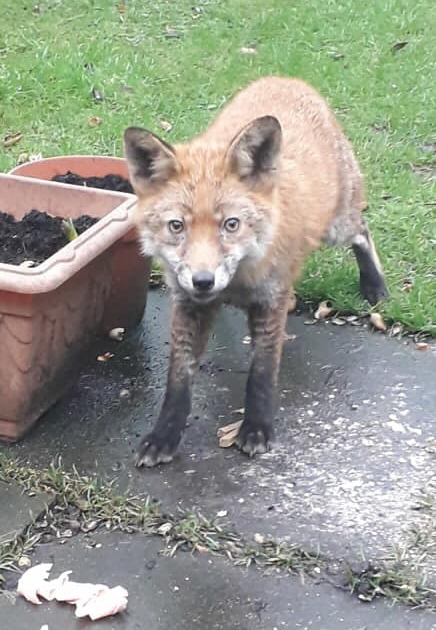 If you do intend to feed foxes, canned dog food is suitable, along with unsalted peanuts and raisins as these cannot be carried away to a garden where the fox is an unwelcome visitor. The raisins will satisfy a fox’s sweet tooth and the animal will linger longer. Keep natural areas, including gardens, free of litter, broken glass and jagged objects. Regularly remove old netting, spikes and other hazards. Check that netting and chicken wire used in your garden or allotment are free of holes and in good condition, as tears often trap and ensnare foxes. Don’t use slug pellets or pesticides harmful to animals: they can kill the foxes and the birds, insects and small animals they feed upon. They are an unnecessary disturbance to most wildlife and a symbol of the artificial measures which threaten the natural ecosystem. Under the Wildlife and Countryside Act 1981 and the Wildlife Order (Northern Ireland) 1985, free-running snares are legal throughout the UK, while self-locking snares are illegal. A free-running snare should slacken when the animal stops struggling, while a self-locking snare becomes tighter. However, these terms are not clearly defined and a rusted, kinked or knotted snare effectively becomes self-locking. Legislation for England and Wales provides that snares must be inspected every day. They must not be set in a manner calculated to cause bodily injury to any wild animal coming into contact with them. Thank you for taking the time to read about the wild and wonderful world of foxes. 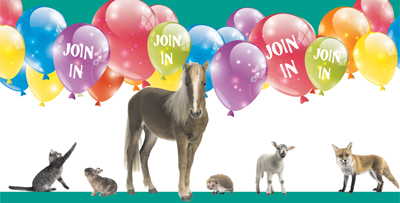 Your interest and support for our vital work is very much appreciated. Thankfully there are many thousands of people who appreciate foxes for the amazing creatures they are. They do not see them as vermin or as things to kill for sport. 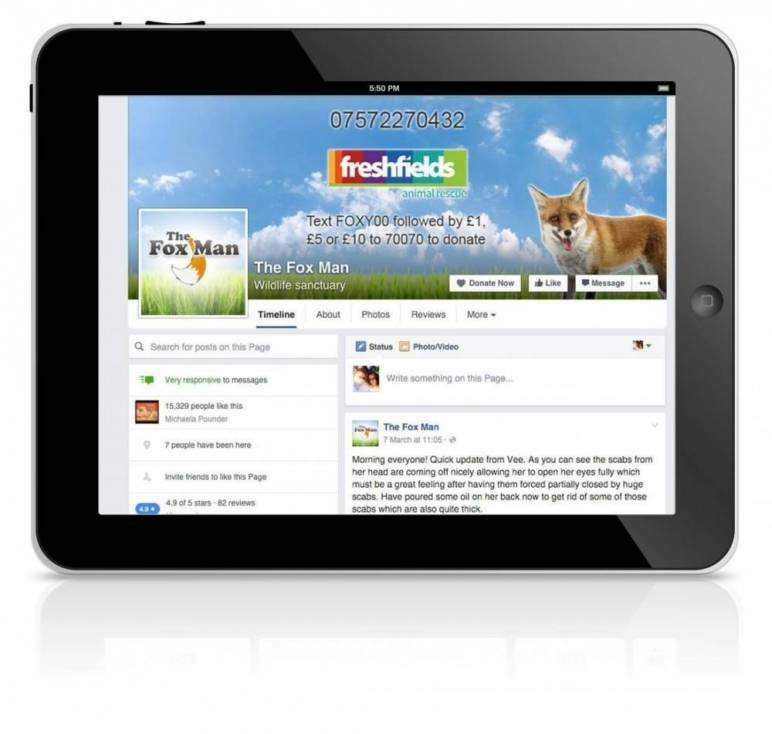 Our Fox Man Facebook page is full of news and conversation about our latest rescues.